We occasionally have visiting speakers at our woodcarving club and they are usually very informative. Having belonged to other clubs with a wide variety of activities I have listened to a range of different topics and sat through a lot of these that could easily have been prescribed as a remedy for sleeping problems. I must admit that all those that have been organised for the carving club have certainly not fitted into this category. There are some very knowledgeable people out there and all clubs could do well to have some of them visit. When clearing out a cupboard in my workshop the other day I came across some notes that I collected a year or so ago when we had a visiting speaker talking about finishing. As I remember, it was a very interesting talk covering all aspects of finishing your carvings - how to get a good finish first of all and then what to do to preserve the fine surface you have managed to achieve. All the options had been used on sample boards with a description of how this had been achieved and we were given a worksheet covering all of the different methods. I can't remember who gave the talk - something to do with age I suspect - but I have tried most of the ideas that are on the sheet. On re-reading the worksheet, I realise that times have obviously changed and some of what was described now seems out of date, but the general details may be of interest. I remember the emphasis being on making sure that the surface was properly prepared before any sort of finish is applied. This means that all tool marks must be clean and smooth and, if the piece is to be sanded, all scratch marks are removed by going through all the grades of abrasive to the finest grit available. Whichever you choose, great care is necessary and it will be very time consuming. I have found that both methods can take the same amount of time to get right. With some woods, it is very difficult to remove scratches, even with very fine abrasive and you might like to try scraping with a proprietary scraper, or even a knife or scalpel. If the wood you are using is hard- or close-grained, you could even wax or oil at this stage, but a better result is achieved by using some kind of sealer first. I always used sanding sealer, but this used to raise the grain and needed rubbing down before polishing - difficult with relief carving! 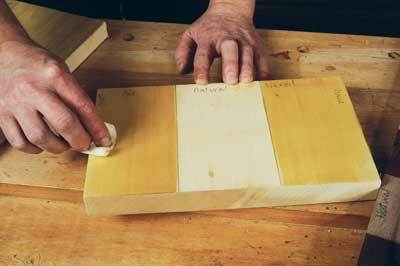 The speaker recommended using oil first as this doesn't raise the grain, and once dry, finishing with wax. As most people have an irresistible urge to handle carvings he recommended applying several coats of oil, wiping down between coats and burnishing the final coat. This way you can always clean and add more oil if the carving gets dirty. The same principle applies to relief carvings, completely eliminating the necessity to sand the carving which can easily reduce the sharpness of the cuts. I have found that the use of any of the finishing oils can, with time and exposure to daylight, tend to darken the wood so, if you have carved in a very light wood and want to keep it that way, you will need to use something else. He suggested that you use something like a clear acrylic spray as a sealer and then wax with a white wax. 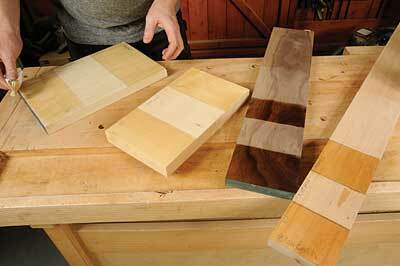 I have tried this and it works very well on woods like lime (Tilia vulgarise), holly (Ilex spa.) and sycamore (Acer pseudoplatanus). Even after a year or so they still haven't darkened. If your work is going outside, there are many different finishes you can buy that will give a good finish but, generally an oil applied regularly is as good as anything. 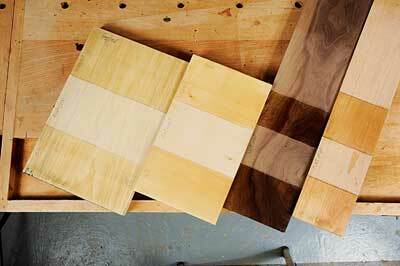 One thing that was mentioned that I hadn't heard of was a way to finish mahogany (Khaya ivornesis). This can look really bland when finished because it is usually stained when used in furniture and without staining can look rather pink. A really deep shine can be achieved by soaking the wood in white spirit and while still damp, applying a thick coat of wax. This should be left overnight and by the morning much of the wax will be absorbed by the wood. After a good polishing you would be amazed at the finish you can get. These are by no means all the different methods - we have wood stains, varnish stain, varnish, French polish and many other types of finishing products that I have no doubt many of you have used very successfully. These are just the ones I have found very effective and may be worth trying. It's interesting giving these things a try and the winter months when you can't do much outside is the ideal time to experiment. Even with the stove in my workshop it has been very cold this winter and I haven't been out there very much so I have been catching up on Mary's 'to do' list indoors. All the workshop jobs can wait for now. That's one advantage of being retired. There are still plenty of jobs that need to be done, but there is not the same urgency to finish them.